How do I find government information? - Ask Us! The Library Research Guide, Government Sources is a good place to begin for locating sources for government reports and related documents. Links to popular documents such as economic indicators, federal code, etc. The GPO Website is also a good source for access to the three different branches of the Federal Government. More than 1.5 million titles available. Accessible on smart phones, tablets, laptops and personal computers. Quick links to popular publications. Search the Library Catalog, located on the Library home page, to find available government documents. Click on CATALOG and then Advanced Search to the right. Type your keyword(s) in the Search for box. i.e. 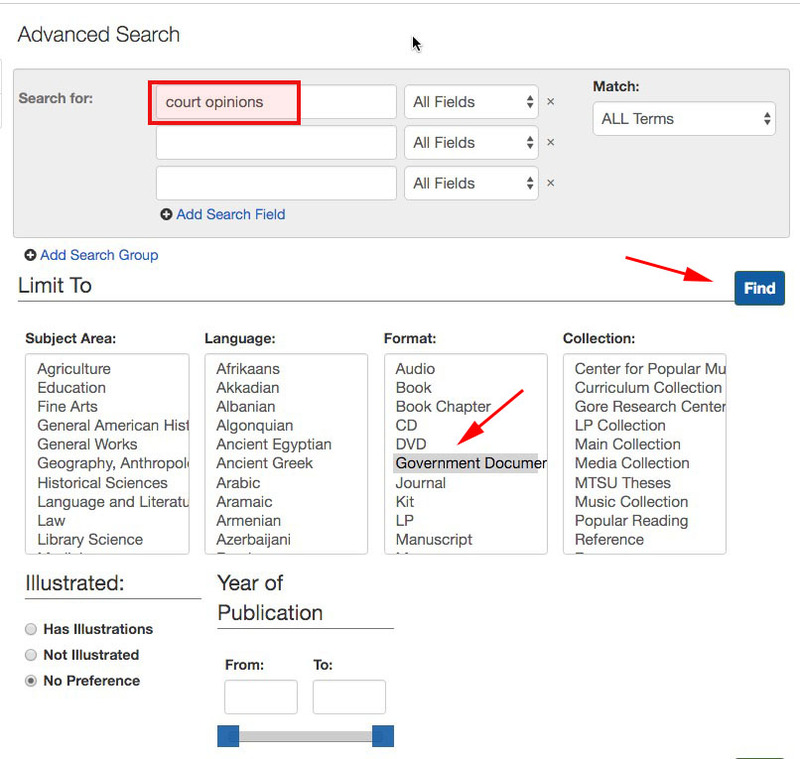 "court opinions"
Select Government Documents from the Format box and Click Find.